We will optimize your business page professionally and create a complete profile which includes pictures, hours of operation, a business description, and up to 10 categories. 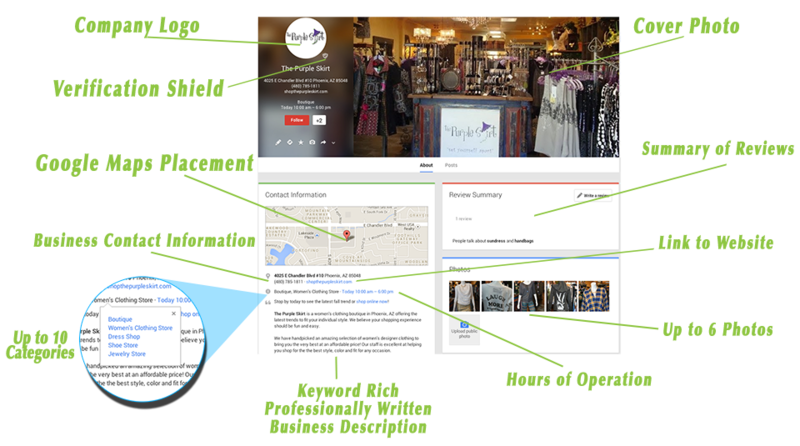 This business profile will be made accessible to thousands of Google users in your community whether they are searching on Google Maps, Google+ Local, Smart Phones, or PC’s. Most consumers don’t search for a specific business by name, they search for the type of business they need. We enhance your local listing with categories that accurately describe who you are and what you do. We make sure that when a local customer searches for the services you provide, they will be able to find you. There is a decent chance that you’re already listed on Google Maps even if you’ve done nothing about it. What you must do if you want to rank at all locally, so your customers can find you and not just your competition – is verify and optimize your profile page. When we verify your listing you will receive a verification shield from Google. A verification shield tells your customers that you have credibility, that you are still open for business, and that the information being displayed on the profile is accurate. Research shows that a high number of people search online prior to making a decision. So the bottom line is if you want your business to make money, you need an online presence. As a business owner, you already know that your potential customers are using the Internet before consulting the telephone book or local business directory. If you are not strategically placed where your customers are searching, you could be giving your local business competition a clear advantage. 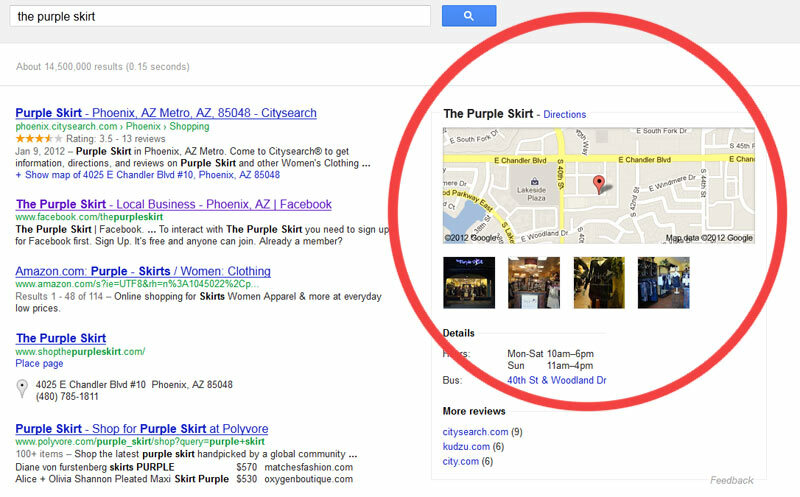 To get the attention that your small business needs to survive, local search marketing is a must.